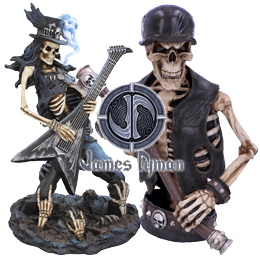 Exclusive to Nemesis Now, this magical clock comes from the fantastic imagination of world-famous Fantasy and alternative artist James Ryman. Standing barefoot in a small stone plaza, a forest in the background behind her, the Dragon mistress wears a red dress, her red angelic wings unfurled behind her. Chestnut hair falls down past her shoulders, obscuring a silver headband. A small white Dragon is perched on her outstretched right arm and nuzzles her lovingly. 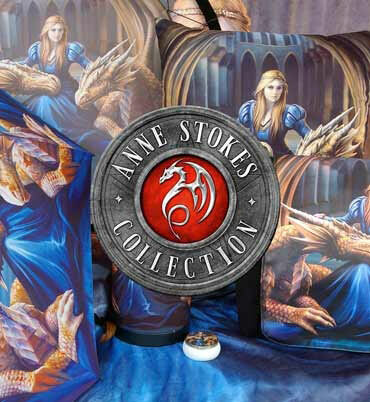 Her left arm is reaching out to stroke the chin of a small purple Dragon climbing her wing. Roses scatter the ground around her. With each hour marked off by a purple gem set in gold, this alternative wall clock is sure to enchant at all times.